If MS Dhoni is fond of two-wheelers, Virat Kohli has a soft corner for swanky cars. But there's some sort of a vehicle both of them have developed a common love for. 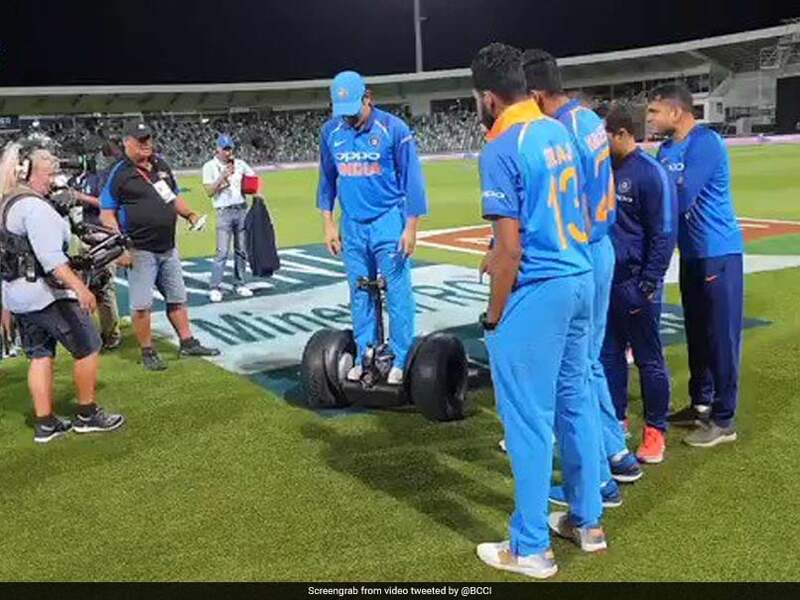 On Wednesday, after India clinched the first One-day International vs New Zealand in Napier, Virat Kohli and MS Dhoni were spotted riding the segway, which obviously made them seem cooler. In a video posted by the Board of Control for Cricket in India on Twiytter, both Dhoni and Kohli can be seen enjoying a good time on the segway in Napier. The tweet reads, "Post-game shenanigans courtesy @msdhoni & @imVkohli. This looks fun."